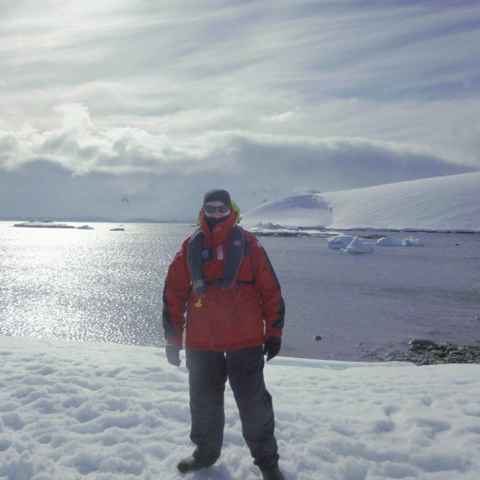 Antarctica is exceptionally remote, and it takes time to get there. Your two main considerations should be which part of the continent to visit and whether to ​arrive​ by ship or plane​. Whatever you decide, the journey will be part of your adventure. 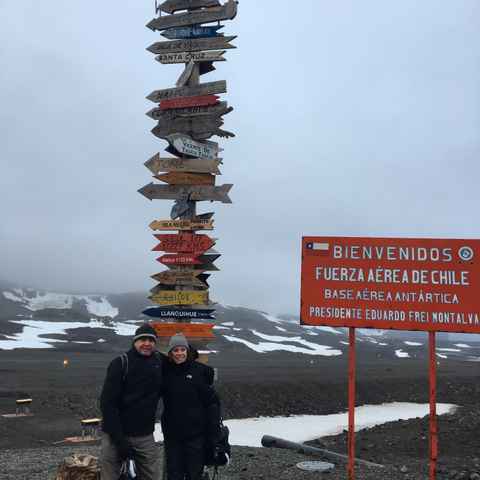 Which route to take: While 98% of visitors approach Antarctica via the tip of South America, as this is the quickest and most accessible route, there are other routes. Find out the top 6 ways to get to Antarctica. Cruise or fly? Traditionally, sailing was the only way to reach Antarctica, and it still remains the most common route, but it's now also possible via a short 2-hour flight, for those for whom time is a luxury. Read our guide on sailing vs flying. How do I get to the start point for my trip? Discover the flight routes and international airports so that you can plan your international travel. Sailing remains the most popular way to get to Antarctica, and for good reason. For purists following in Scott and Shackleton's footsteps, or for those looking to enjoy every minute of the adventure, sailing to Antarctica is all part of the experience in the world's last pristine wilderness. To cruise to Antarctica you will need to cross the Drake Passage, a fairly notorious stretch of water. Approximately 30% of voyages experience rough weather, however it can also be surprisingly placid too, at which time it's euphemistically called 'The Drake Lake'. The reality for the majority of our customers is that it's rarely as bad as it sounds, and it's certainly a 'price' well worth paying. What's cruising to Antarctica like? Flying from Southern Chile to Antarctica before embarking your ship is becoming increasingly popular. The benefits in terms of time saved and the assurance of avoiding the Drake Passage are undoubtedly compelling. When time is a luxury, getting straight to the heart of the white continent means you can spend your time experiencing rather than traveling. In just 2 hours you can step off your plane on the Antarctic Peninsula, feeling the nip of the air and ready to spot your first iceberg. Before you book in your Fly & Cruise voyage it's worth noting that your choice of ships, itinerary and departures dates is more limited than when cruising to Antarctica. You should also expect to pay approximately 20% more than if you were to sail. Although the majority of flights each season run on schedule, flying also carries a higher risk of delays due to the rapidly changing conditions that make accurate forecasting a challenge. However, delays are often no longer than a few hours, and for many, the modest risk in opting to fly is more than outweighed by the significant gains. What's flying to Antarctica like? The majority of cruises leave from Ushuaia (Argentina), whereas Fly & Cruise trips leave from Punta Arenas (Chile). These two port cities don't offer international flights, so to get to the start of your trip you're likely to have to fly via Buenos Aires (Argentina), or Santiago (Chile). Most trips depart from and return to the same location, but occasionally you may fly out from Punta Arenas and sail back to Ushuaia, or vice versa. Luckily, flying into one country and out of the other is not only do-able, but often no more expensive than returning the same way. Our flights specialist can help find and book the right flights for you from anywhere in the world, just get in touch and we'll arrange your flights from your preferred airport. Getting to Ushuaia via Buenos Aires: Daily direct flights to Buenos Aires operate from New York, Miami, Dallas and Atlanta (approx 9-10 hours). Once in Buenos Aires, there are regular flights to Ushuaia. Getting to Punta Arenas via Santiago: There are daily, direct flights to Santiago from New York, Miami, Dallas and Atlanta (approx 8-10 hours). Once in Santiago, there are regular flights to Punta Arenas. There is also an indirect flight from Los Angeles to Santiago via Lima (approx 13 hours). Getting to Punta Arenas via Santiago: There are direct flights from Sydney to Santiago 4 times a week (approx 12 hours). You may find it's more convenient to go via Auckland, NZ, which offers direct daily flights to Santiago. Once there, there are regular flights to Punta Arenas. Getting to Ushuaia via Buenos Aires and Santiago: There are no direct flights to Buenos Aires, so the most efficient way to get there is via Santiago (see above). Once in Santiago, there are regular flights to Buenos Aires (approx 2 hours), and regular onward flights to Ushuaia (approx 4 hours). Getting to Ushuaia via Buenos Aires: There are direct flights from London to Buenos Aires (approx 14 hours). Once there, there are regular flights to Ushuaia (approx 4 hours). Another option is to fly via Madrid, where there are daily direct flights to Buenos Aires. While this is often cheaper, it is also often longer. Getting to Punta Arenas via Santiago: There are direct flights from London to Santiago. Once there, there are regular flights to Punta Arenas. Getting to Ushuaia via Buenos Aires: There are direct flights from Toronto to Buenos Aires 5 times a week (approx 14 hours). Once in Buenos Aires there are regular flights to Ushuaia. Getting to Punta Arenas via Santiago: There are direct flights from Toronto to Santiago 5 times a week (approx 11 hours). Once in Santiago there are regular flights to Punta Arenas. For other areas of Canada it may be more efficient to fly via Toronto or the USA. Ask our specialist for assistance if you're unsure. Can Swoop arrange my flight? Yes we can, we've got an experienced Flights Department who can assist you with booking both the domestic flights within South America, and advise you on the best routing from your home airport. Where will I stay before pre & post Antarctica? 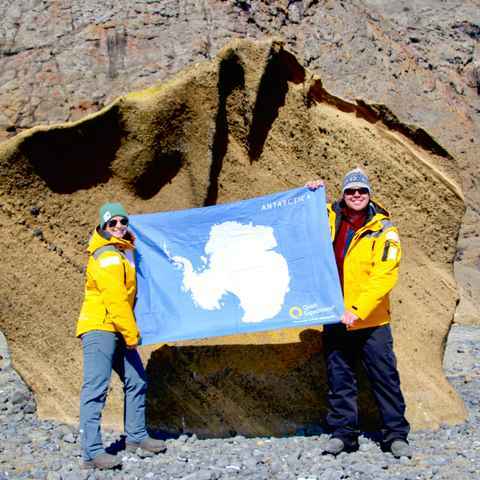 99% of Antarctic trips start from either Ushuaia in southern Argentina or Punta Arenas in southern Chile. If pre-voyage hotel accommodation in these cities isn't already included in your voyage price, we can make arrangements for you. Can you help me with travels to see more of South America? 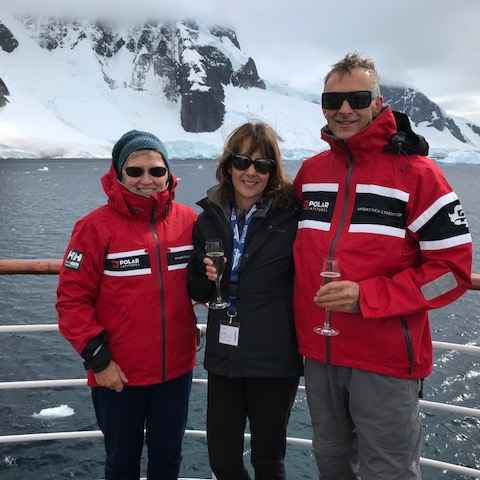 Between us we know South America incredibly well - Patagonia in particular - and would be delighted to discuss and help you make extension plans to your Antarctic trip. No you don't, Antarctica is a non-sovereign nation.​ However you do need to check whether you need a visa for the country (Argentina/Chile) which you are travelling through to get there. Plus, Argentina and Chile charge some nationals a reciprocity fee. For more information visit our Visa section. For ease and efficiency few things beat flying to Antarctica. If I'd have known it was that easy I would have gone years ago! After spending two and half days rocking and rolling across the Drake, stepping on terra firma in a completely alien environment, surrounded by thousands of gentoo and chinstrap penguins and Weddell seals, was pretty overwhelming (in a good way). The service provided by Swoop was perfect. John helped every step of the way and guided us beautifully. We couldn't have asked for more. Yes I am pleased to have booked with a polar specialist, I have spoken to one or two other people who went with a Cruise Company, and it didn't sound half as interesting or exciting. Your service prior to the voyage was excellent, you answered my queries promptly, nothing was too much trouble and I felt well taken care of. Have a day or two in Buenos Aires, well worth a visit. It was great to have Swoop organise transfer on our arrival in Buenos Aires and the half day excursion the next day was perfect for us - they did an excellent job, thank you all! I was the luckiest person alive and had a flat calm Drake Passage experience. In 133 voyages the ship's captain had never seen it like that before. We were very impressed with the proactive response re the flight delay from Buenos Aires to Frankfurt. Overall very pleased with the service we received from Swoop. The level of personal experience Swoop's travel experts draw upon to make recommendations sets them apart from anyone else I've worked with. 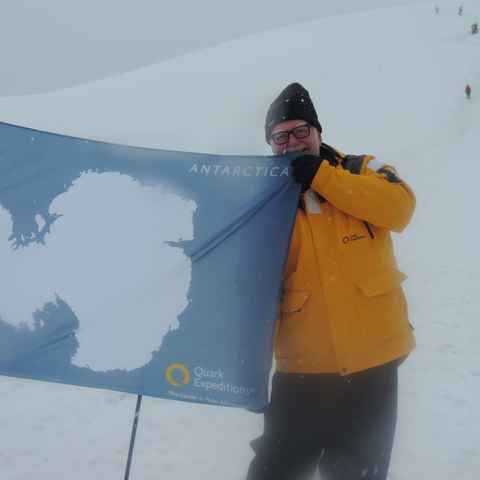 More helpful insights when researching your perfect Antarctic adventure. Month of travel, length of trip, whether you fly or sail, and the level of comfort will have an influence on the end price. Let Swoop's deep knowledge ​guide ​you​. From zodiac safaris​ and​ continental landings ​to​ expert-led lectures, there’s absolutely no risk of boredom.